Just to record here the other wonderful discovery from our visit to the Hebrew Tailor's Assn cemetery--the Hebew inscription on Rose Ratner's grave refers to her as 'Raizel', which is Yiddish for 'Rose'. Some Google accounts say Raizel is actually Hebrew for Rose, but I had always thought of Rose as Vered or Varda, but my Eevreet is lamentably more rusty than it used to be. Anyway, its exciting to have the correct name to go with the young woman from Rostov-on-Don during her girlhood and when she was looking out the upstairs window to check if her would-be suitor Abraham Ratner was sufficiently presentable for her to come downstairs and make an appearance. (He was). The name Raizel tangibly connects us to the mysterious pre-American life of Rose and the whole Tulbowitz clan and that makes it very precious to me. Thanks, Jo, for providing Mom and Dad's anniversary. June 7, 1947, five days after Helga received her American citizenship. It must have been an incredible week. Did the Ratner/Tulbowitz family really come from Novocherkassk? Here is a belated posting, with historical records that should have been placed on the blog three years ago, but that is relevant again following Dan's discovery of the Rattner passenger lists. Just over three years ago, Tanya and I went to Rostov-on-Don to look for records of the Tulbowitz clan, which we had known from family lore to have lived there prior to Raizl (Rose) (the daughter of Shlomo-Aron and Sifra (Sophie) Tulbowitz) and her new husband Abe Bloch heading out to America in 1890 with Sophie. Shlomo-Aron and their son Eduard follow several years later and the family ended up in Albany. 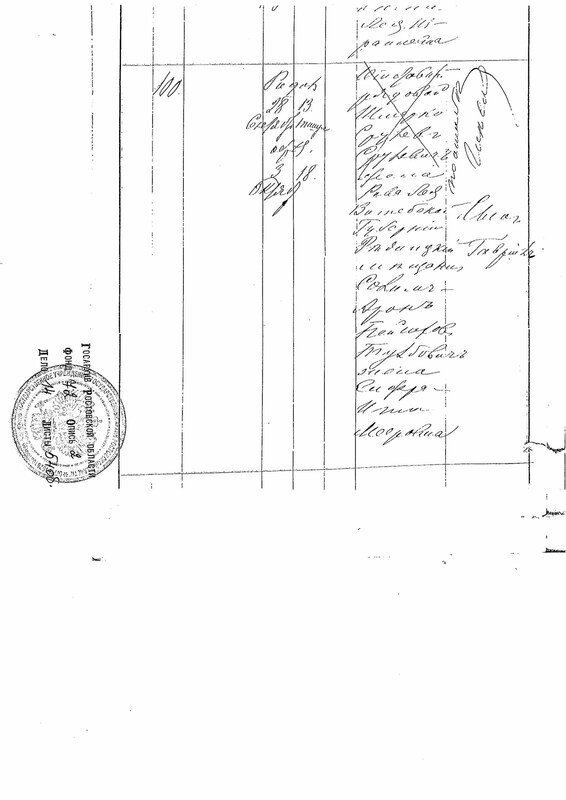 Tanya and I had hoped to find a good number of documents in Rostov, including their address, synagogue membership, a record of the tavern that Shlomo-Aron and Sophie ran—and perhaps something to authenticate the story of Rose having been kidnapped by Cossacks as a child. 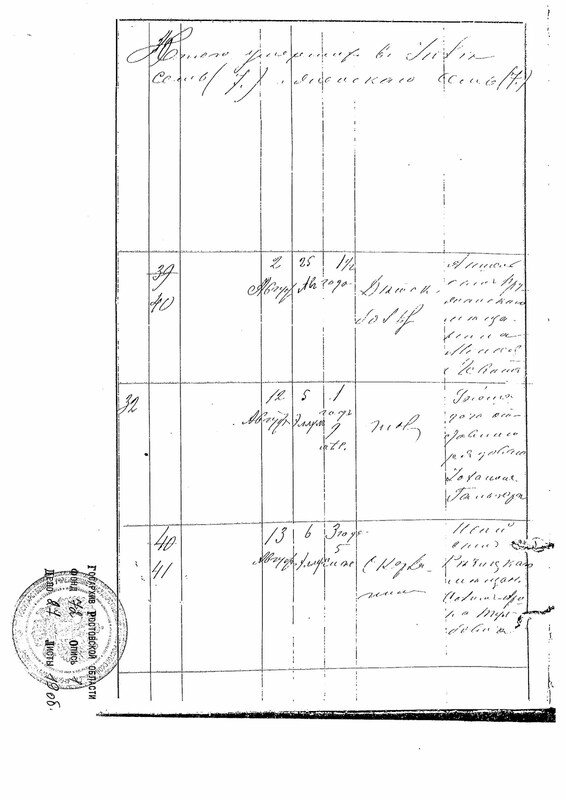 However the first class genealogist we took on, who worked with us for two days, Yevgeny Gimodudinov found only the two documents seen here, which show in reverse chronological order, the death of Shlomo-Aron and Sophie’s son Isai in 1879 and the birth of another son Gavrill (Gavriel) in 1878. 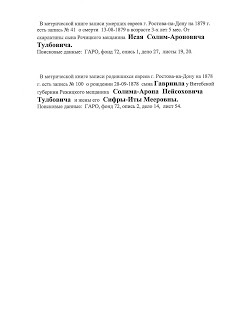 In the Rostov-on-Don metric book of vital records, which listed deceased Jews of 1879, there is a record #41 about the death that occurred on 8/13/1879. The son of Rechitza Meschanin, Isai Solim-Aronovich Tulbovich, 3 years and 5 months, died of scarlet fever. 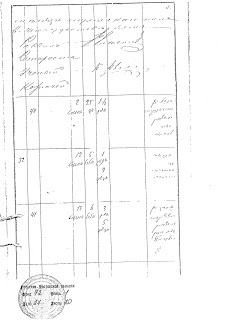 Search data: GARO; fund 72; list 1, case 27, Pages 19 - 20. 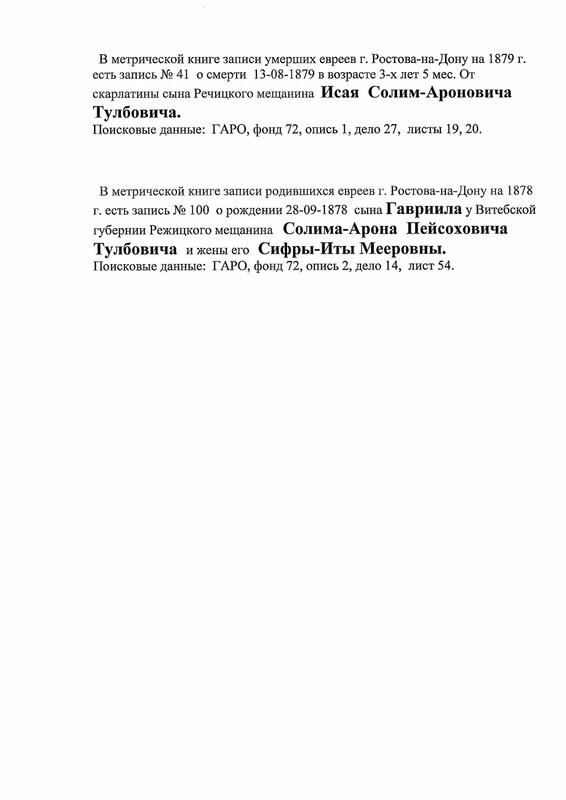 In the Rostov-on-Don metric book of vital records of 1878, there is a record #100 about the birth of the son Gavriil on 9/28/1878. Parents: Rezhitsa Meschanin (Vitebsk Gubernia) Solim-Aron Peysakhovich Tulbovich and his wife Sifra-Ita Meerovna. 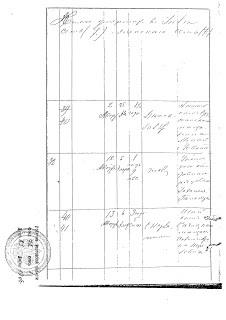 Search data: GARO; fund 72; list 2; case 14; Page 54. 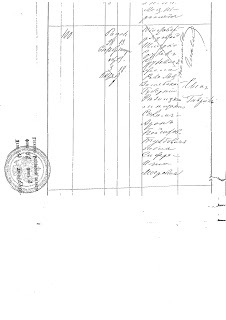 So thanks to Gimodudinov’s discovery of these precious documents in the Rostov municipal records, we were able to determine that Shlomo-Aron and Sophie had moved nearly 1000 miles from the northern climes of Latvia to the southern plains of Rostov as a young couple (presumably around 1870 and then depart for the U.S. 20 years later). Until my trip with Tanya to Rostov, no one alive today had any idea where the family had lived before moving to Rostov, which was a late 19th Century boomtown, on the Don River near where it flowed into the Black Sea and a place to which a lot of people, including many Jews, came in search of economic opportunities and increased social mobility, outside the more constricting Pale of Settlement. We can imagine the family's decision to leave for America about 20 years was greatly influenced by the growing anti-Semitism in the area, which was also the center of the Don Cossacks and had been made a Cossack military province in 1888 by order of the Czar. But first and foremost there was the salient fact (which came to us through family lore) that Abe was apparently in danger of being drafted into the Russian army, a fate he wanted desperately to avoid—and emigration may have been the only way out. They may also have left in search of increased economic opportunity, although they were likely making a better living with the tavern than most poverty-stricken Russian Jews. This just popped up in my email. It looks promising for Abe, Rose and Sophie's ship manifest, which we've been missing. It shows that they sailed aboard the Esperanza from Hamburg on July 2, 1890, bound for New York via Liverpool. Among the passengers are Schifre (age 42), Abram (20) and Rosa (18) Rattner. Surprises, if this is them: Their previous residence is listed as Czerkask, not Rostov. Also, they are already using the name of Ratner before their arrival in New York. In subsequent postings Dan finds other records which show that the Esperanza took them only from Hamburg to Hull (near Liverpool in England), from which they sailed to New York two weeks later aboard the ship Teutonic, from Liverpool to New York. Dan, can you put that stuff up on the blog as well? So Dan’s find brought us not only the exact story of the Tulbowitzes voyage to America—from Hamburg, not Bremen, Germany as had come down to us, with no previous mention of the stopover in England, with some strange added details, such as Schifre being identified as a citizen of Finland, which was then a province of the Russian Empire, not an independent country. It shows that they chose the name ‘Ratner’ for reasons unknown even before they arrived in America; not that it was given to them by a U.S. immigration official at Ellis Island, as we had believed earlier. 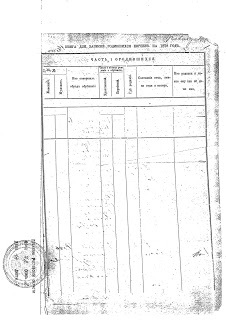 Why Abe would have changed his family name from Bloch to Ratner is not known to us, but given that he was of military age and desperate to avoid being conscripted, securing fake documents with a different family name even before he left Russia made eminent sense (According to family lore he crossed the border on a wagon under a haystack, whereas Rose and Sophie came out in normal fashion and met up with him once they were all out). In fact, I knew a fellow in 1990 in Moscow who secured false papers and hid out in his dacha to avoid being taken into the army so such behavior still happens today. 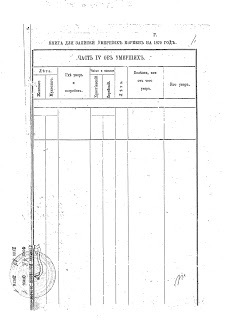 The document unearthed via Ancestry.com also lists the emigrants' hometown not as Rostov as we had always believed, but ‘Cherkassk’ which likely referred to one of two smaller towns close to Rostov; Starycherkassk (Old Cherkassk) or Novocherkassk (New Cherkassk). It happens that I have visited both places, the first in 1992, on my first visit to Rostov to report on the resurgence of the Don Cossack movement in the region in the wake of the demise of the Soviet Union, and the second in 1999 when I was doing some similar reporting. Starycherkassk is a tiny, largely agricultural, stanitza or Cossack village—and so seems unlikely to have been the home of any Jews, including during the late 19th century when anti-Semitism was at its peak. But Novocherkassk, which was founded in 1805 and is located maybe 30 miles north of Rostov, was, then as now, a larger and more cosmopolitan place, with a large Cossack population, but with a mainstream Russian majority and quite a few Jews, most of whom were rapidly emigrating to Israel and America (that was true in the 1890s as well as the 1990s). For more on Novocherkassk, see the Wikipedia article. When I visited in 1999, I hung out with Anatoly Iasenik, a fearless Jewish activist and newspaper editor who had built personal and communal ties to a particular local Cossack ataman (leader) who was friendly to the Jews (several of the ataman's competitors had renewed longstanding Cossack anti-Semitism). Several years later Anatoly, whose own life was threatened by powerful business interests whose corruption he had exposed in his newspaper) fled to America and found me by complete accident when he met with Tanya, who then worked at NYANA, a not for profit agency that helped resettle arriving Russian Jews. Anatoly showed her my picture as someone he wanted to locate, and the amazed Tanya said, ‘That’s my significant other.’ When I met Anatoly, he informed me that the ‘good’ Cossack leader he had taken me to meet was later murdered by his rivals. So Novocherkask was a dicey place in 1999, just as it had been 110 years earlier when Rose (who according to family lore had been kidnapped and held for ransom by Cossacks as a young girl—as an adult she would show family members scars on her legs from an incident when she was accidentally burned by hot water from a samovar during her captivity), Abraham and Sophie presumably left the place and began their ‘honeymoon’ escape to America. So the historical parallels are compelling and not a little chilling and ESPish, and I feel privileged to have been able to go back there a century later and gain some inkling of the life they must have had then. (I guess that is the book I need to write before too long). 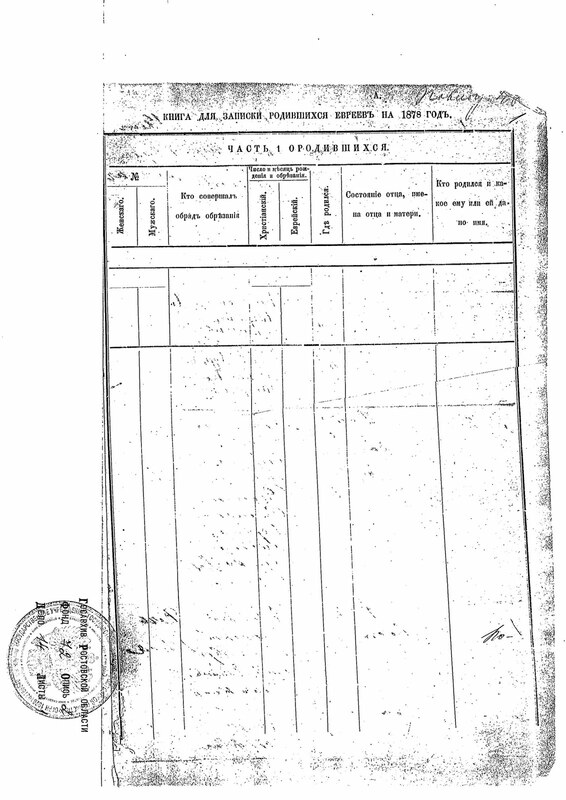 But in any case, if the Tulbowitzes lived in Novocherkassk instead of Rostov, that would explain the dearth of records concerning them in the Rostov archives. Likely they came to Rostov (the capital of the province) for Sophie to give birth to Gavriel in 1878 in a decent hospital, and maybe came back a year later to try in vain to save the life of Isai. 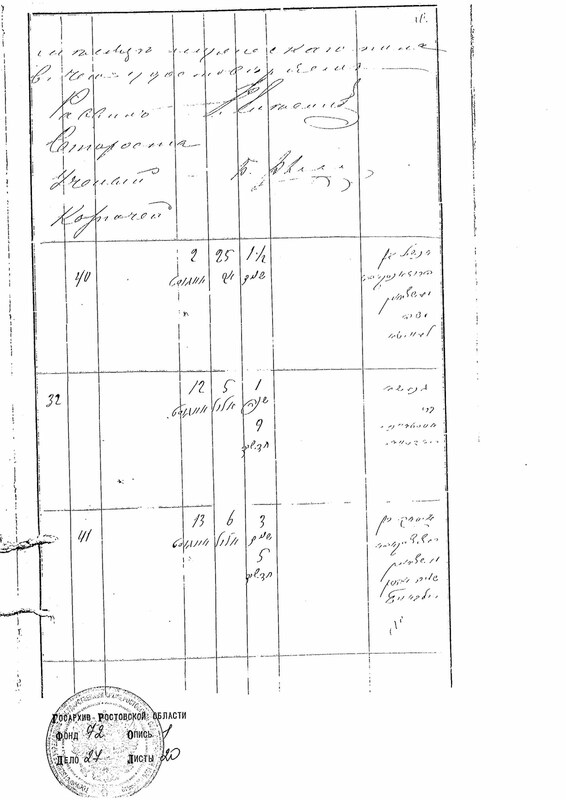 That would explain why those two mentions of the Tulbowitzes are found in the Rostov municipal records today, but no other mention of the family, which was presumably living and running their tavern in Novocherkassk. Tanya and I are now going to re-contact Gimodudinov, the Rostov archivist to see if he can go to Novocherkassk to check the records there for mentions of the Tulbowitz family. But why would Rose have left her grandchildren Stan, Sandy and their descendants with the impression that she came from Rostov, “the most beautiful city in the world”, rather than the decidedly less renowned and glamorous Novocherkassk 30 miles away? Probably for exactly that reason. In Russia, even today, there is a phobia about being ‘from the village’, or ‘from the sticks’ and thereby be seen as a ‘peasant’. Tanya, who was born and raised in the provincial town of Shostka, Ukraine, 300 miles northeast of Kiev, used to tell Americans who would ask where she was from that she hailed from Kiev (where she went to college and subsequently as a young adult) without mentioning Shostka, a rather rough and tumble, working class place about which she had decidedly mixed feelings. Tanya points out that if she mentions ‘Kiev’ to Americans, they would have heard of it and be able to relate to her origins, but would not have heard of Shostka. But it is also the case that Tanya left Shostka at 18 for Kiev and a better (more cosmopolitan) life, and didn’t necessarily want others to know from whence she came. It seems to me likely that Rose might have been animated by the same way of thinking. 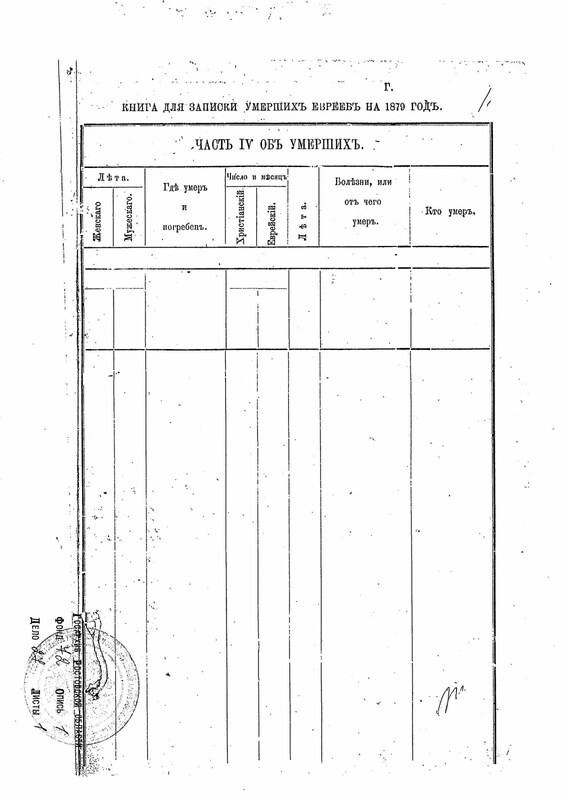 In the meantime, thanks to Dan, we are much closer to figuring out the ‘Tulbowitzes in Rostov (province) story”. We’ll post the news of Gimodudiov’s search of the Novcherkassk records as soon as we have them. Read more about Did the Ratner/Tulbowitz family really come from Novocherkassk?